Home / Blog / What Happens If You Die Without a Will in Florida? 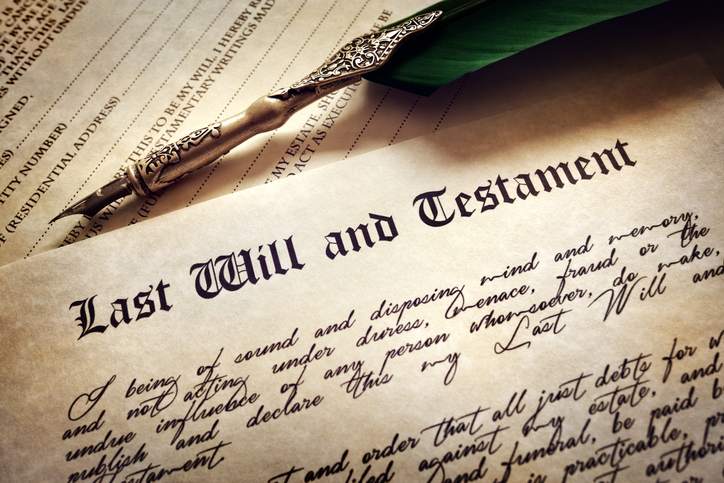 For Florida residents who pass away without a last will and testament, all assets get distributed according to the state’s intestate succession rules. This may or may not be in accordance with the deceased individual’s wishes, illustrating why it’s so important to establish a legal will — even if you are relatively young. Intestate succession applies only to those assets that you would have passed to your beneficiaries through a will, had you created one. This is known as a probate estate and may include assets such as real estate, motor vehicles, family heirlooms, stocks and money in bank accounts. It is most common for a person without a will to pass away with at least one spouse or child. If you have a surviving spouse and all your descendants are children you had with that spouse, then your spouse would receive all of the inheritance automatically. It doesn’t matter if your children are legal adults. However, if you had children with a different person than your spouse at some point, those children will receive half your estate. This half gets divided evenly among the children. For example, if you have a spouse and you have two children from a previous relationship, your spouse would get half of your estate and each of the children would get 25 percent. The process becomes more complicated if you and your spouse had children, but your spouse also had kids from a previous relationship. In that scenario, your spouse would receive half your estate while your children would divide up the other half. Finally, if you die without a will and you do not have a spouse or children, the assets in your estate would get passed to your parents. If your parents are also no longer alive, your estate would be split amongst your siblings. As you can imagine, passing away without a will usually means that a person’s estate gets divided in a way that does not necessarily align with their wishes. To avoid this issue, it’s important to establish a last will and testament that gives you and your loved ones greater peace of mind regarding the future. To set up a will and other estate planning documents, meet with an experienced estate planning attorney at the Law Office of Nancy J. Oset. Call me today at 727-326-1618 or contact me online to schedule a meeting at my Palm Harbor office.